Ghandi has a quote that is attributed to him, and I guess I have no reason to doubt he said it. It goes like this “I like your Christ. I do not like your Christians. Your Christians are so unlike your Christ.” Isn’t that an interesting quote on so many levels? First of all there is a lot of hypocrisy in this statement. Was Ghandi like Christ? Some people think he was. Ghandi, never professed to be a Christian, as far as I know, but he is saying that if more people acted like Christ, then it might work better for him. Sure, I suppose… But more importantly, I agree with him. I also disagree with him, but I’m not going to spend time showing why I disagree, because I think there is enough here for the point of this article as to why I agree with his quote. As a reminder, I started this little series based on a discussion I had with a friend over the years on whether one should be a follower of Christ, or Christ like. I argued that if we don’t start by following Christ we will never strive to be like Him, and that most will never TRULY follow Christ. 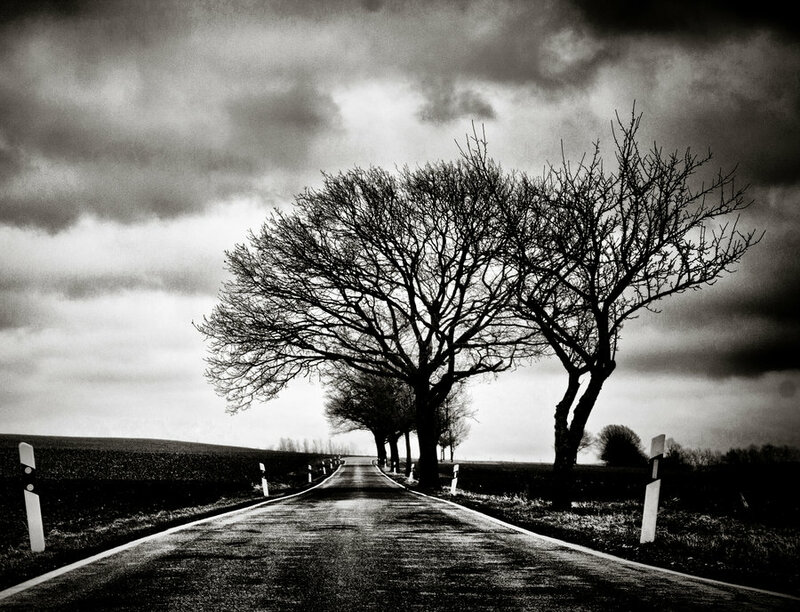 Many will profess to follow, but when the going gets hard, the hardened get going. Ghandi claims that Christians are not like Christ, and I have a lot of agreement with him on this point, so, how are we that truly follow Christ to be like Him? Have we considered, from the Bible, what it means to be like Christ? Let’s look at just two ways that we are to be like Christ. Paul said in 1 Corinthians 11:1 Imitate me as I imitate Christ. Paul understood the desire to be like Christ. He had a proper grasp on what was valuable, but he also knew what it meant to really imitate Christ. Jesus Christ suffered. And so did Paul. Therefore do not be ashamed of the testimony of our Lord, nor of me His prisoner, but share with me in the sufferings for the gospel according to the power of God… – 2 Timothy 1:8 The Christian life and suffering should be synonymous, this is being like Christ and being like Paul. The suffering and patient endurance for the spread of the gospel should be a privilege for all Christians to share in. Did you get that? It’s a privilege to suffer for the sake of the gospel. Yet in modern Christianity suffering for the gospel probably means the air conditioning is out at your church, or the latte machine is broken. We have no concept of what it means to suffer for the sake of the gospel, in some cases you might be marginalized or laughed at. If you do any sort of open air ministry you will most definitely be mocked, if you are preaching the true gospel, but rarely will you be beaten. At least not in this country. So I think that true biblical suffering is not readily experienced by most Christians, in fact it’s experienced by very few. However, I will offer some hope that the day is coming when the true elect of God will be revealed through the suffering of the church and it appears that day is not very far away. Do yourself a favor and begin to experience it now, so it won’t come upon you as some sort of surprise. Well now, that’s a little bit inconvenient for most of us. In a culture that likes to say “preach the gospel always and if necessary use words” this upsets the apple cart. The word “preach” literally means public proclamation. The word κηρύσσω kērýssō is a word that carries force and gravity. It means that someone is confronted to make a decision about what they have heard. In fact it demands a decision, and it is a call to obey. In the days before newspapers, the nightly news, and the internet, the way a king would get his message to his subjects was through a herald. One that was sent to deliver the message of the king. He went into the town square and read publicly the message. The subjects were called to obey. Why is this so important? Why such a radical call? Most professing Christians will think this is a foolish way to spread the love of Christ and they will offer alternatives like friendship evangelism, life-style evangelism or “missional” group evangelism. I’m not saying we should not evangelize our friends, or those in our life, or we shouldn’t have groups of people sitting around talking about missions, but this is not the primary biblical model that Christ, the apostles, the early church, and the church of the past century utilized. Paul is very helpful to our understanding of why open air preaching and gospel proclamation is imperative to the spread of the good news. In short God uses this method to save people. Not all will be saved in this manner, but many will. The proclamation of the gospel, in particular, through the foolish preaching of the cross of Christ (1 Corinthians 1:18) is the method that God, in His wisdom, chose to save those who believe. That is hard to comprehend, but it is the truth. And I can affirm to you that one way to bring suffering (like Christ) is to proclaim the gospel. Publicly, for those called to do so, through the oversight of your church. The local church is to provide cover and support for this endeavor. The Elders affirm a man’s ability to preach and they provide accountability, and protection against errant messages. Understanding that it is to be men that publicly preach, just as in the local assembly. Women are also called to serve in evangelism but not in the same way as preachers. They can be engaged in one on one conversations, or passing out gospel tracts and eliciting conversations with people. In properly ordered churches this will have an impact on the community. In this manner we can begin to disciple the nations (Matthew 28:18-20). It’s a beautiful thing. This will bring persecution and it will bring salvation’s. If you want to be like Christ, these are two ways for you to imitate Paul as he imitates Christ. Can you imagine this scene? 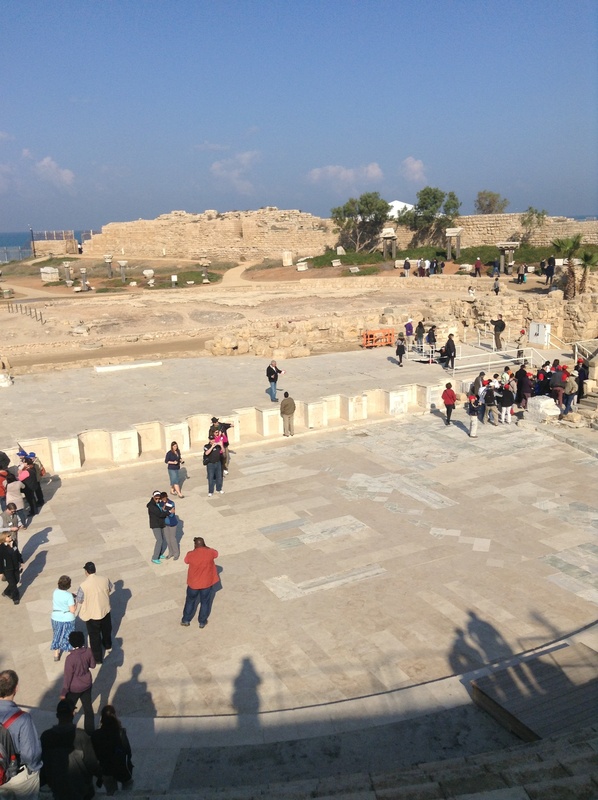 Paul had been brought to Caesarea in chains; this coastal town on the Mediterranean where he has been given the opportunity to give testimony to thousands as they come to watch and listen. Who could have ever guessed how God would use Paul’s suffering and imprisonment for His ultimate purposes. Paul would have never come up with this plan, but he knows God’s purposes are much bigger than his own personal comfort. Today, will you let your momentary affliction affect what might be God’s plan, or will you embrace it as Paul did for the furtherance of the gospel? Acts 25:23 So the next day, when Agrippa and Bernice had come with great pomp, and had entered the auditorium with the commanders and the prominent men of the city, at Festus’ command Paul was brought in. Today we stood where Paul stood and proclaimed the good news. 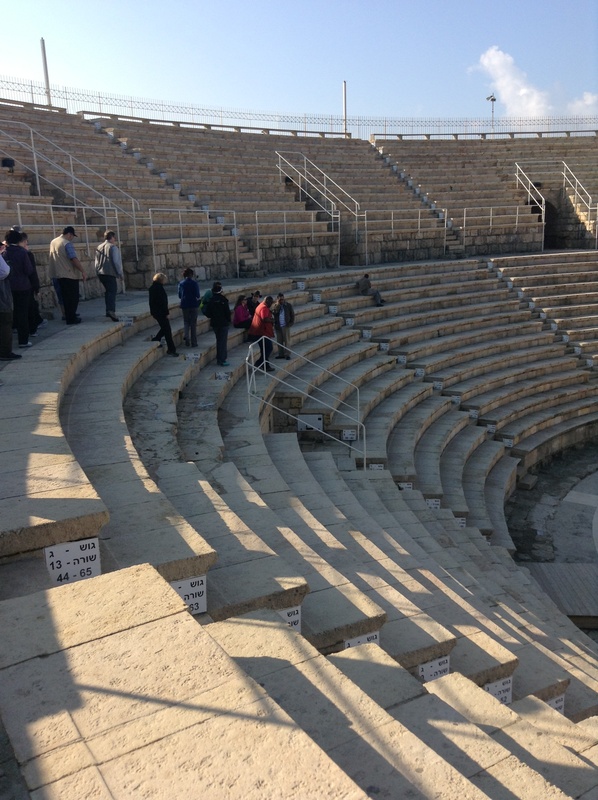 The same place where God poured out judgment on Herod as he was proclaimed a “god” by the people (Acts 12:22). What a thrill, to see how God works in all circumstances to accomplish His desired goal. Not long ago I had offered some friends a gospel message which included a list of scripture to support what I had been discussing with them. I was encouraged by our initial conversation and was hopeful they would pursue things further. I received back a very nice message from one of them mentioning she had been saved a couple times and had also been baptized as a child. I don’t think she was telling me to buzz off, but I think she was telling me that she had this one covered. So I was thinking how these pieces came together in my mind about what it means to truly be redeemed. There are differing views on salvation and whether one can lose it once it’s been obtained. This is not a quick little topic to discuss on a blog and requires a considerable amount of study, but I think most importantly it means understanding some basic items about Christianity and saving faith. I don’t believe one can lose their salvation but there is a “but” that comes after that. Scripture is replete with support for what some refer to as eternal security but I really like this verse because this tells us so much about God’s working in the life of a believer. Believers have been redeemed, they have been purchased for His glory and they have been sealed with a guarantee. The Greek word translated “guarantee” is (arrhabōn) Of Hebrew origin [H6162]; a pledge, that is, part of the purchase money or property given in advance as security for the rest: – earnest. I am convinced that the confusion on this matter does not come from the scriptural support of the promise, but from a lack of understanding of what it really means to be saved. That’s the “but”. When a false conversion occurs and then that person wanders from the truth or “backslides” they were never truly converted. The problem is not with God’s work. His work is sufficient to save and to sanctify; in fact it’s the only hope. The problem is the weakness of the preaching and gospel clarity. When someone comes to Christ cheaply they leave easily. If they are moved emotionally by a sermon, a song or in a moment of weakness they won’t see their sin for what it really is. When they don’t understand their sin is an abomination to God and they think they’re not “that bad”, they won’t understand their helpless state. They won’t see what it cost Christ to bear the wrath of the Father. Of course you can lose your salvation when you’ve never been saved. Paul tells us in Philippians 1:6 being confident of this very thing, that He who has begun a good work in you will complete it until the day of Jesus Christ. He will complete what He started, but if he didn’t start it then it won’t be finished. Did not the Lord speak of these in the parable of the soils? Can you see how this all fits nicely together, like a wonderful and beautiful jigsaw puzzle? When we understand how salvation occurs and why people fall away it’s easy to see they were never saved. Mark 4:13-20 And He said to them. “Do you not understand this parable? How then will you understand all the parables? The sower sows the word. 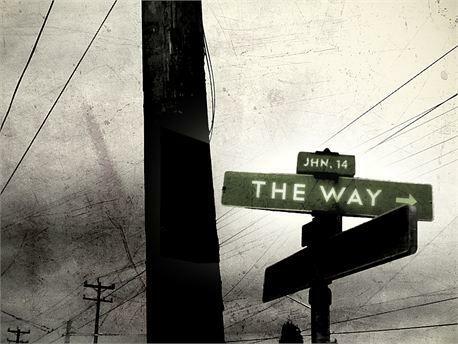 And these are the ones by the wayside where the word is sown. When they hear, Satan comes immediately and takes away the word that was sown in their hearts. These likewise are the ones sown on stony ground who, when they hear the word, immediately receive it with gladness; and they have no root in themselves, and so endure only for a time. Afterward, when tribulation or persecution arises for the word’s sake, immediately they stumble. Now these are the ones sown among thorns; they are the ones who hear the word, and the care of this world, the deceitfulness of riches, and the desire for other things entering in choke the word, and it becomes unfruitful. But these are the ones sown on good ground, those who hear the word, accept it, and bear fruit: some thirtyfold, some sixty, and some a hundred. So here is a big question for you? Are you producing fruit? Are you growing in holiness, in knowledge of Christ, in desire for the things of God? Are you preaching the gospel of peace to those at enmity with God? Are you proving your salvation through your actions? Many will show some evidence of salvation, but those that continue in the faith will prove their salvation over a lifetime. Do you know when you were saved? Consider this from Leonard Ravenhill – I ask, “Are you really saved?” and you say, “I don’t really know.” Oh, supposing you carry a 100 lb sack on your back, and someone takes the sack off your back and you climb up to the top of the hill, and a man says, “Have you lost your sack?” And you say, “I don’t really know.” It seems that someone would know when someone else took 100 lbs off his back. said if you were climbing up a hill with a hundred pound sack and someone removed it, wouldn’t you know when that happened? This is a great start to understanding you eternal security, “if” you’ve been saved. I would encourage you to watch this short video from Leonard Ravenhill.